Mike Metzger will lead a two-day workshop on making things from bamboo. Each day the workshop would be about 4 hours long. On Saturday, the workshop will focus on Bamboo mat-making and on Sunday Metzger will instruct participants in Bamboo cup carving with metal/stone tools with a special woodsy lunch of locally harvested bamboo shoots. *Please note the workshops are different for each day and independent of one another. Participants are not required to sign up for both days! Participants will trim, and carve a stack of locally harvested bamboo rods. Then each student will twine each rod together to make a large floor mat. These mats have been used for sleeping, for window curtains, etc. Size of each mat will depend on how much bamboo we have. Requirements: Each student needs to bring a knife. 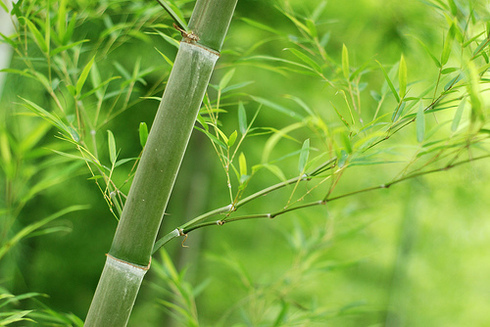 Aside from its durable strength and durability, ancient seafaring people have used bamboo for storing rain water for thousands of years. Today participants will carve their own bamboo cup using both stone and metal tools, along with a special lunch of locally gathered bamboo shoot. Information on processing bamboo shoots will be included in the class.